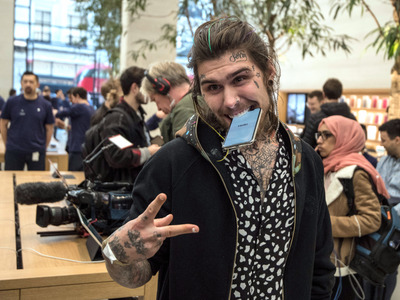 Carl Court/Getty ImagesMarco Pierre White Jr. with an iPhone X. He was one of the first to buy the device upon its release in the UK, November 3, 2017, in London. Tech has outpaced the broader market by a wide margin in 2017. But it wasn’t all smooth sailing, as many of the largest companies faced public and regulatory scrutiny along with company-level issues. Mark Mahaney, an analyst at RBC Capital Markets, told Markets Insider that he sees little risk to the future growth of the largest tech companies. Tech has been the fastest-growing sector this year, with the tech-heavy Nasdaq 100 nearly doubling the gains of the S&P 500. 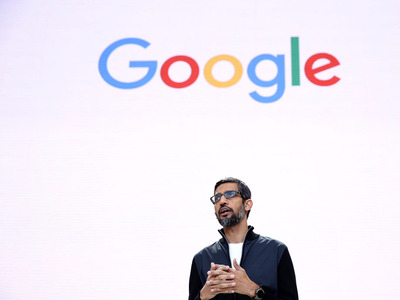 But tech has made its share of negative headlines this year.Facebook and Google have been facing investigations over their roles in allowing foreign influence in the 2016 presidential elections. Additionally, Apple has seen highly mixed results to its newest editions of the iPhone. 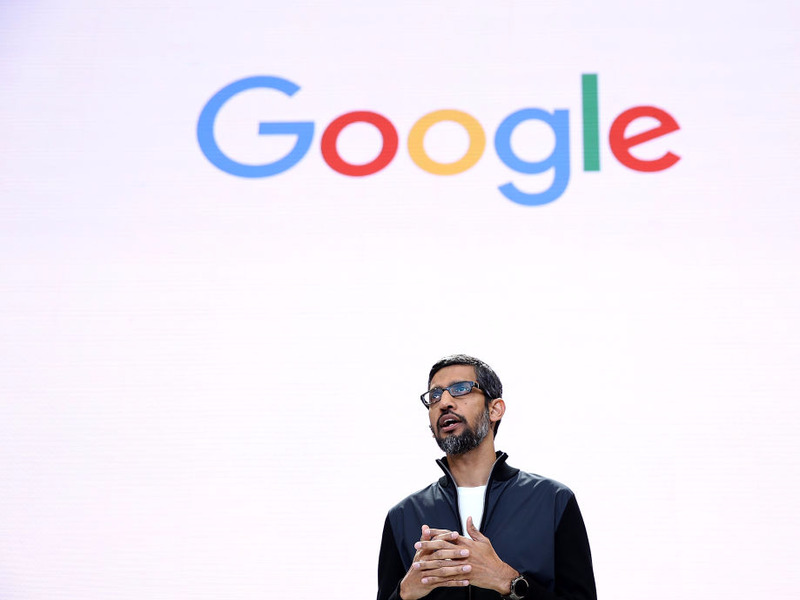 As the EU cracks down on tax evasion and anticompetitive practices by tech companies in its member states, American lawmakers have started to ponder regulating or even breaking up some of the big tech companies. As the capabilities of AI programs skyrocket, and tech companies successfully automate more human jobs, anxiety over the future of work in the US seems to grow with the market cap of many of the tech giants. But is it all doom and gloom for some of the world’s largest companies? With 2018 fast approaching, Markets Insider sat down RBC’s Mark Mahaney to find out what could be in store for the tech sector next year. Mahaney is one of the most widely respected analysts in the tech space and is rated in the top five analysts by Bloomberg for 14 of the 25 stocks he covers. Following is transcript of a phone interview with Mahaney. It has been edited for clarity. Seth Archer: Going into 2018, what are you looking out for, what gets you excited, and what are you worried about? Mark Mahaney: Three things have remained constant about the large-cap internet stocks, at least the high-quality ones. One of these facts is that revenue growth is extraordinarily consistent. The expression we use is ‘insanely consistent’ in our last earnings preview. Google, Amazon, Facebook, Netflix – all four of the FANGs – have had almost the exact same growth rate in ’17, ’16 and ’15. Facebook has faded a little bit, but it’s faded from, like, 60 down to high 40. I’ve been struck by how consistent the growth rates have been. I’ve also been struck by how consistent the aggressive investment has been by these companies. All these companies have been spending aggressively on new areas of growth: whether it’s Netflix spending more money on original content and expanding internationally, whether its Amazon spending more money on buying Whole Foods and on distribution centres for its retail business and data centres for its cloud business, whether it’s Facebook investing aggressively into artificial intelligence and machine learning and into video content. And Google is still aggressively investing in cloud – also into its projects like autonomous vehicles. The investment outlook remains aggressive for all four of those companies, and the revenue growth has remained very consistent. And the third thing that is constant is really the multiples. The valuations on these names are very similar to where they were two years ago. The multiples have either held or have come down. It’s interesting: They have had three years in a row of dramatic market outperformance. It’s not been due to a multiple rerating. That would typically be it, you’d expect. It’s been entirely been due to earnings growth. The stocks have gone up because the earnings have gone up, and the earnings have gone up because the revenue growth has been consistent. So those are the three constants. As I think about ’18, I don’t see a reason why the fundamental trends behind the leading internet platforms, so I call them “PEFANG”: Priceline, Expedia, FANG. I don’t think there is any reason – except for the online travel names – I don’t think there is any reason to expect a change, either a material change in their revenue growth or in their aggressive investment outlook. And the multiples. It’s sort of interesting. I feel less conviction about the multiples than I do about the fundamentals of the company. Because I feel like the fundamentals are extremely intact, and since multiples have been very consistent the last three years, I don’t know why they wouldn’t be this year. But as a stock picker, I would worry about if there’s a rotation out of growth into value. Then, clearly, no matter how high quality they are, the internet names would underperform if there’s a material rotation out of growth into value. Archer: So you are worried about multiples going down, not them going higher right? Mahaney: Yeah, I guess that’s right. I don’t think that given where the multiples are, I don’t know that there’s room for a lot of correction in the multiples. But I could see the multiples go down by a couple of points on each of the names as a part of the trade rotation out of growth and into value. That’s a risk that I would think about. I think the high-quality internet names, they probably face portfolio risk. I don’t foresee any particular macro risk and I don’t see any particular fundamentals risk. You know, famous last words – but they have been very consistent the last three years. Archer: You mentioned government regulations. Does that come to a head in 2018, and how does that affect earnings? Mahaney: I don’t know if it comes to a head, but there’s no doubt that there is greater regulatory scrutiny of these names. OK, maybe not Netflix – but Google, Amazon and Facebook. There’s no doubt that there’s greater public and regulatory scrutiny now than there was 12 and 24 months ago. And it’s not only that, but there’s been actual, regulatory action taken against Google in the EU. And there are two more investigations that the EU is undergoing. I’m sceptical that the regulatory public scrutiny will lead to either a material change in their revenue growth outlooks or in their cost structures. But the latter is a possibility. It’s possible that they are going to have to spend more money to comply with regulations. Whether that’s data-privacy regulations like those that are going to be imposed by the EU in 2018, that could lead to a rise in their cost structure. I don’t think it would be material, but it’s possible. Facebook – one of the reasons they are going to be accelerating their expense growth in ’18 is the need to spend more on security because of the Russian hacking of the US elections. So that’s an odd expense. I don’t know if that really falls under scrutiny, except that it was public scrutiny that made Facebook get more aggressive about it. I guess that’s probably the biggest variable I can think of. Does regulatory and public scrutiny cause their operating costs to rise more aggressively than they would otherwise? That, to me, is one of the most interesting changes. A couple of other trends I find interesting in the group are the increasing focus on AI and machine learning. It’s very hard to see that impact from a financial perspective; it’s hard to find their line in the P&L that says this is artificial intelligence, but it’s in there in terms of the expenses. And it should be in there in the form of more relevant and more effective services. I guess that’s point one. The stocks have gone up because the earnings have gone up, and the earnings have gone up because the revenue growth has been consistent. Point two is, I’m very intrigued by what I call the “voiceification” of the internet. It’s not only in emerging markets. I’m not certain on this, that voice is much more of a user interface, an application-interaction method than in the developing markets. And more and more of the growth of the internet is in developing markets. In the US, that will essentially carry the internet, or bring the internet into the car and the kitchen. I’m thinking about Alexa devices, Google Home devices, the HomePod, by Apple, whenever that comes out. So I think about that. It’s not the most important platform shift of the last five years or next five years. It’s still going to be smartphones. But voiceification could also move the needle – not exactly as smartphones did, but it will move the needle. Archer: And does AI move that needle? You said it’s hard to see. Mahaney: Yes, it must. It’s one of those “submarine trends.” It’s impacting the tides, but it’s below the surface, so it’s very hard to see it. Read more about how tech is in the crosshairs of regulators here.